Strength training is often neglected as we get older, with people traditionally showing a preference for what could be perceived as more easily accessible forms of exercise – those involving the cardiovascular system (jogging, brisk walking or swimming) rather than those that increase strength. Whilst we know the benefits of cardiovascular exercise are extensive, it is increasingly clear that we must include strength training into our weekly routines. After 30 we will lose muscle mass at a rate of 3% – 5% each decade which is accelerated when we reach the age of 60. This loss of muscle mass changes a whole host of bodily functions leading to reduced energy production, reduced hormone secretions, reduced metabolism and reduced protection against key diseases such as dementia, Parkinson’s and Type 2 diabetes. 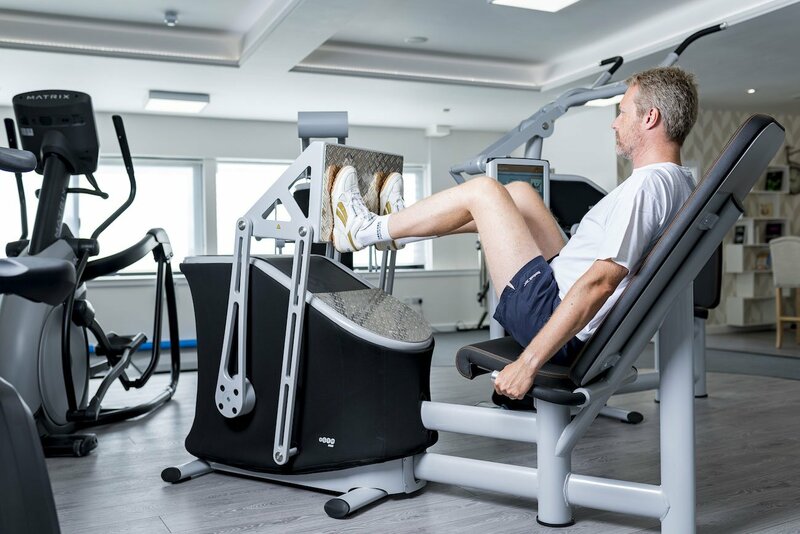 An evidence review commissioned by Public Health England and the Centre for Ageing Better has found that muscle and bone strengthening continues to have great health benefits for all adults, including older adults aged 65 years and over. This is particularly true in preventing trips and falls as we get older. Muscle mass from strength training prevents the likelihood of falling but also the likelihood of bone fractures if a fall does happen to occur. The American College of Sports Medicine states that adults should be strength training with light intensity, each major muscle group, for two to three times on two or more days of the week. This should include two to four blocks of repetitions ranging from 8 to 20, with at least 48 hours of rest in between each resistance training session. At Viavi:be the specialist electromagnetic machines allow our members to complete the right number of sets and repetitions safely with a manageable load. This scientific and user friendly approach ensures a safe and gradual progression is made with the much reduced risk of injury. Our members are encouraged to attend Viavi:be two to three times a week to expect increased strength over time and all the health benefits that come with increased strength and muscle tissue. Get in touch if you’d like a personal no-obligation tour – we’d love to show you around.